Finding delight in daily living. It’s Wednesday – that means it’s hump day! And what a fun way to start the day, with a laughing dolphin! Missing Child – Have you seen her? Happy Monday! I hope your week is off to a great start. I love this guy and I hope you will too. Missing Children – Maybe you know one? 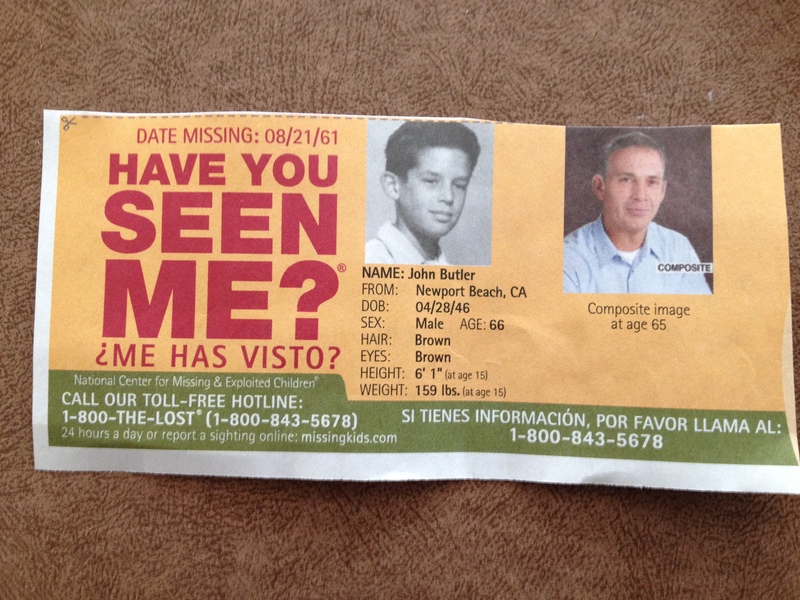 Every week in my mailbox we receive a flyer of a missing child. It comes included in what most consider to be “junk mail” such as ads and coupons. So easy to miss. 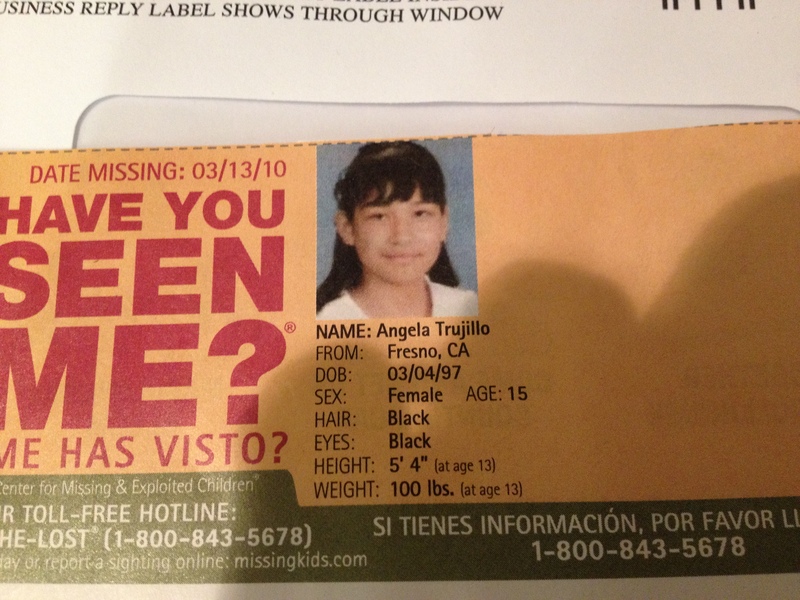 These flyers/ads are put out by “The National Center For Missing & Exploited Children. It is a national, not-for-profit organization. It was born out of tragedy, the abduction and murder of children. I think of how awful and sad it must be for those parents and loved ones that don’t know what has happened to their beloved children. It is a shame to just throw these flyers out and the organizations resources going down the trash. Here are a few steps I take to help out in some small way. Every single week I take the time to look at the pictures and information closely to make sure it is not someone I might know. I upload the flyers to my Facebook page to share with family & friends in case they recognize someone and ask them to pass it along. I cut out the flyers and hubby takes them to work and puts them out in the lunch room for other employees to see. Someone in his company has been sweet enough to get a bulletin board and hang them up on the board. If I am mailing out a package to an acquaintance I will include a flyer and ask them to please take a look at it and pass it on. And now I am going to be posting the flyers/pictures here on my blog, just in case. I believe in miracles! Happy New Year everyone! I hope you are having a great start to your new year. I know I haven’t been here in a long time but life got quite busy and I had to let some things go. Not that I anticipate 2013 any less busy, but I’ve missed sharing and writing. So here I am in the new year hoping to do more of what I enjoy. One of the things I am so excited about sharing with you is a new line of animal drawings. My son is a young man who has had a love of drawing since he was a wee little one. He has recently committed himself to drawing and sharing 365 different animals, both real and fictional. He is doing what is called “rough drawing”, where there is no preliminary or refinement techniques in the final sketch. He first picks an animal, many of which come from suggestions from the public. Secondly he does a few gesture drawings to get the pose right. And thirdly he starts the final piece and sticks with whatever he comes out with. I hope you will enjoy his drawings as much as he enjoys making them. Till next time….